Pepsi Gilt + full set! 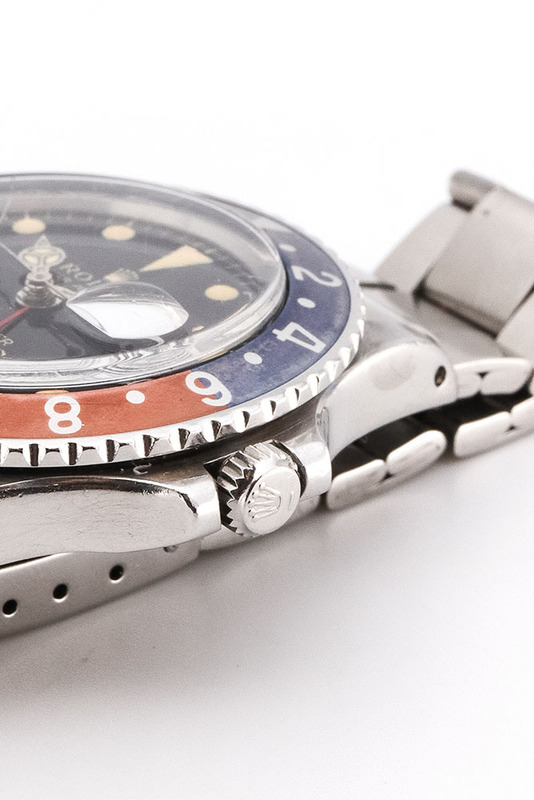 A Rolex GMT-Master from 1965 with all papers and service history documentation. This watch tells a story. 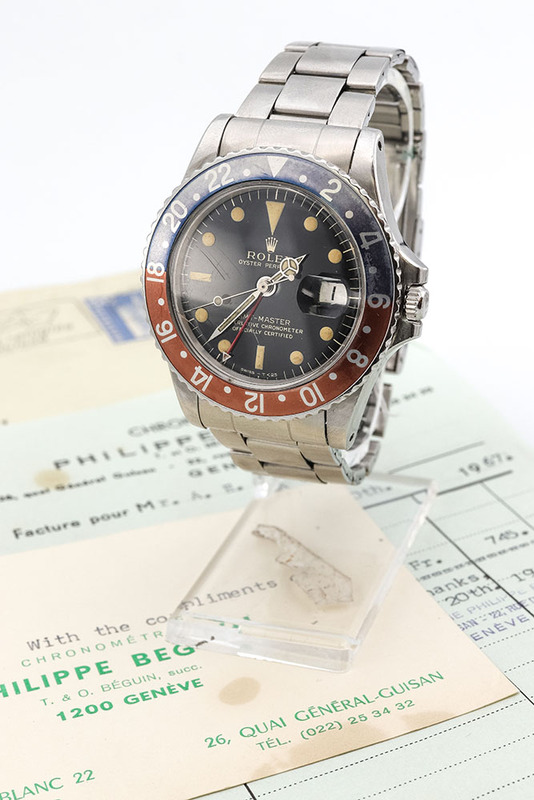 A set this beautiful and complete is very special and highly collectable. The Rolex 1675 is the 2nd generation GMT-master, after the first model with the Bakelite bezel. 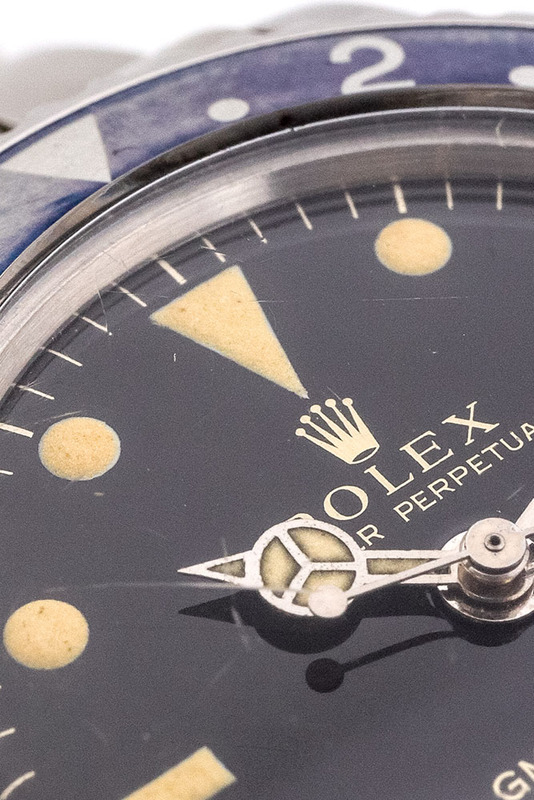 This is one of the earlier models with a Gilt dial, this is a classic method of gold letter printing into the dial. 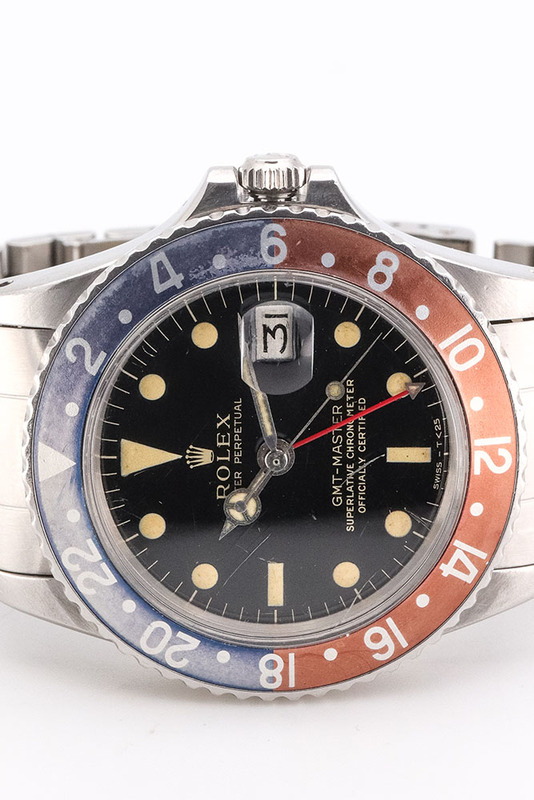 Gilt letter printing was discontinued by Rolex in 1965 and has become a highly sought-after characteristic among watch collectors. 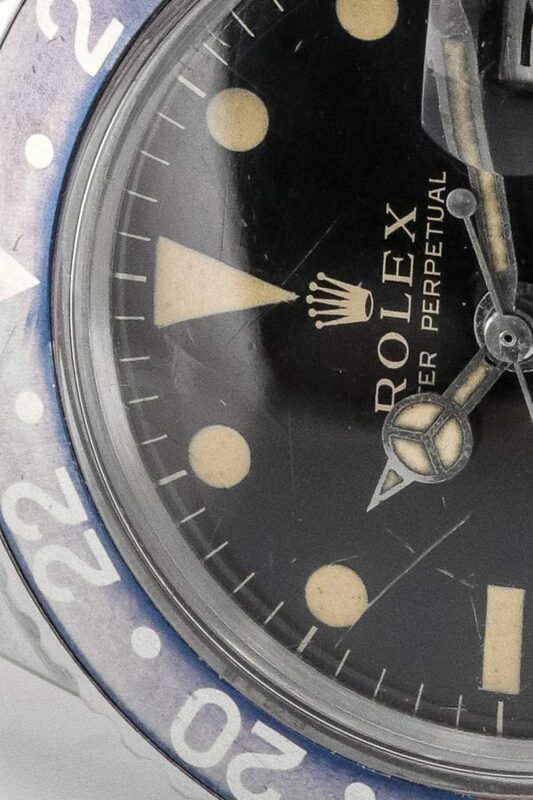 The condition of the dial makes or brakes the beauty of such a watch, and our’s is simply magnificent. 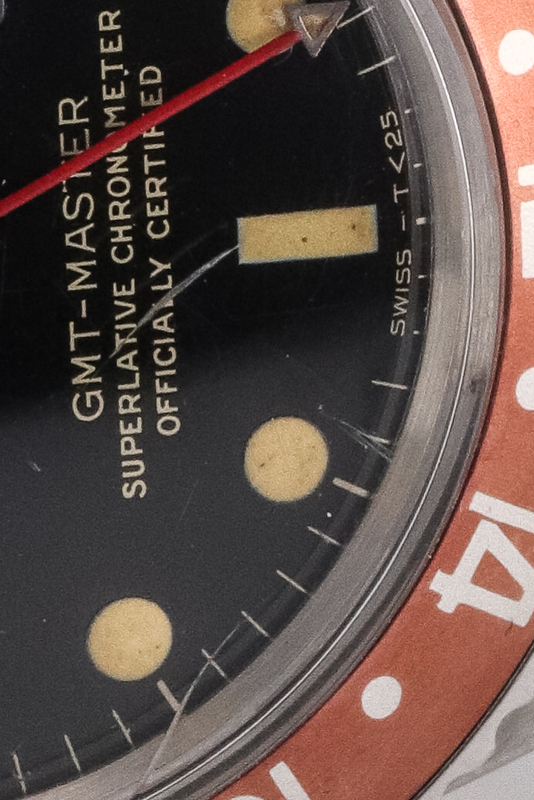 The documentation of our watch makes it better than many similar GMT’s. Why? 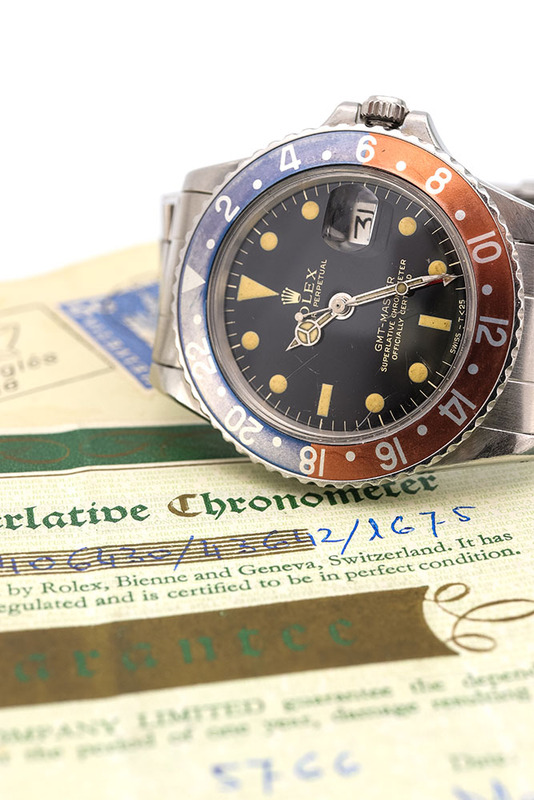 Warranty papers are lost on almost every 1960s watch we come across. 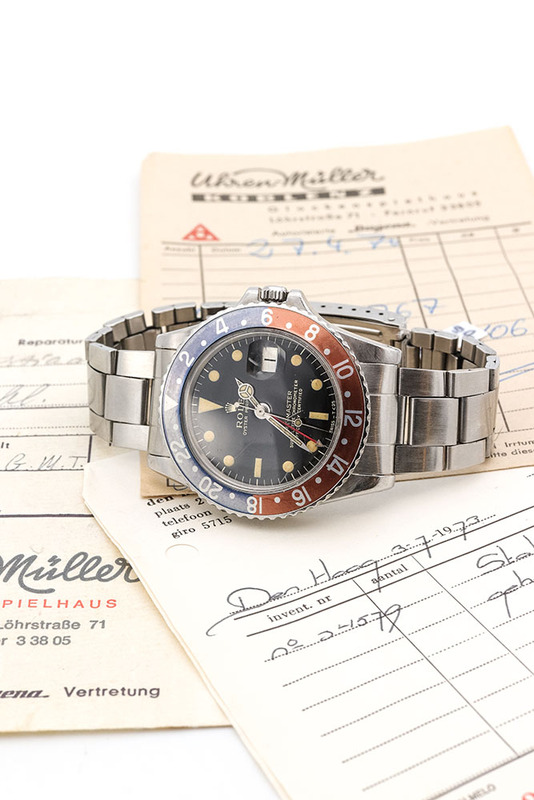 Having the original papers makes the watch even more complete and reliable, and our watch still has its papers with corresponding case numbers. 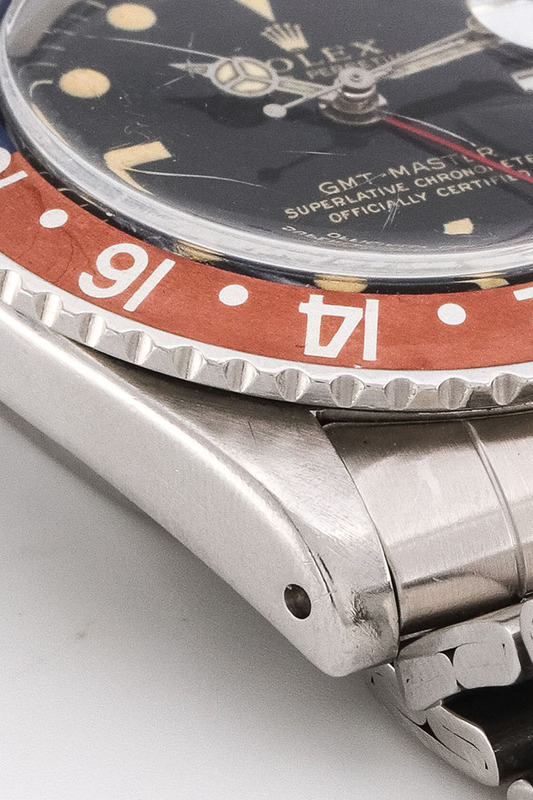 If this doesn’t persuade you yet, all receipts from different years of movement service are included, this will tell you where this watch has been and by who en when it was serviced. A 1965 watch this special and complete is even rare to us, visit our store for more insight into this beauty. We are located in the Reestraat (9 streets), Amsterdam. 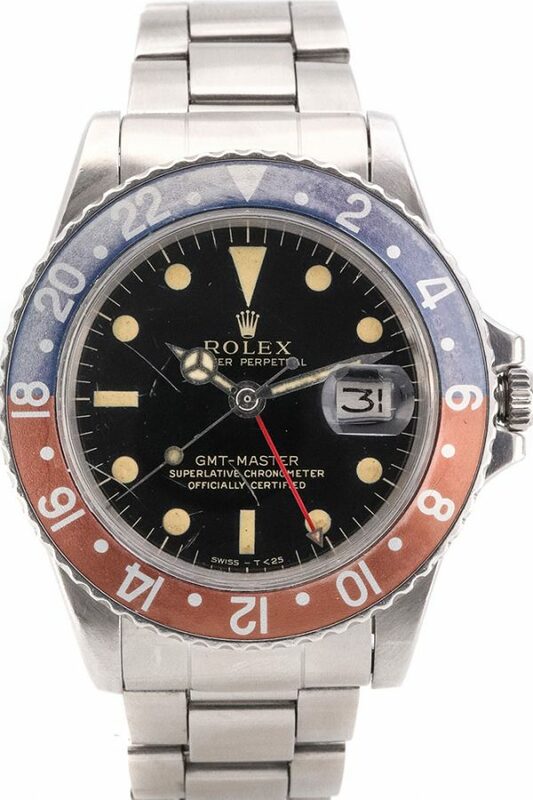 Tags: 40mm, Gilt, Box&Papers, Tritium.